The Philippines like any developing country suffers from all diseases due to poor hygiene and sanitation brought about by poor awareness programs. This is one of the main public health issues that the Philippines needs to face and come up with solutions for – or at-least preventions. Letting the people be aware that there is hope is a great venture, but there is no other way but to start in ones own self and surroundings. As part of Volunteer for the Visayans (VFV) commitment to public health, it has reached out to those in need through the implementation of its Annual Medical Mission, a day long event that provides free medical services for impoverished communities. Thanks to the support that VFV receives from both its international volunteers, the organization is able to give medical relief clinics to surrounding rural towns which are rotated between each year. The services provided at such missions vary between missions but over recent years have seen efforts made to address culturally significant medical procedures, dental repairs, vaccinations and general health check ups. In recent years, Volunteer for the Visayans has worked diligently with local doctors, dentists, nurses, and international volunteers to provide free medical services to hundreds of individuals across the course of one day. VFV’s most successful medical mission yet was conducted last April 22, 2016. The whole medical team served the constituents of La Paz, Leyte. 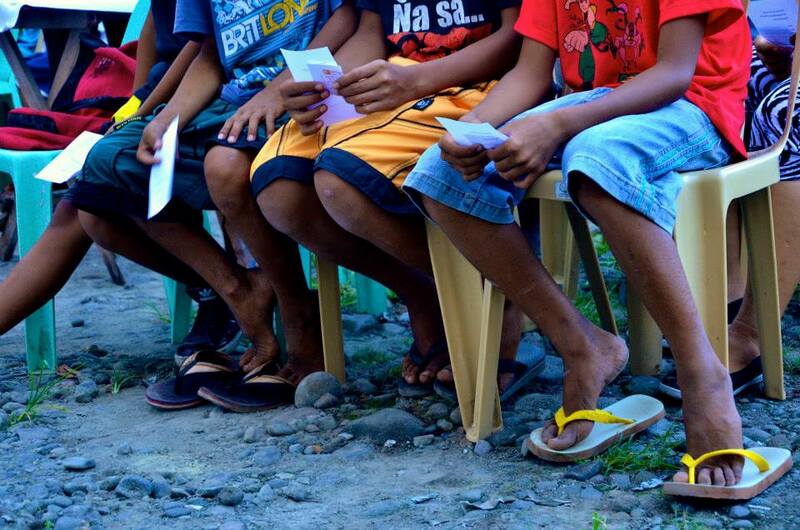 A total of 195 young boys were circumcised and 183 patients received dental service. Free haircuts were offered as extra service for the young boys waiting for their turn on the surgery tables. Once again, for the 14th time, VFV has embarked on another health outreach project. It involved minor surgery (turi) and dental extraction. This year’s recipient community was Pastrana, Leyte, about an hour away from Tacloban City to the west. A total of 205 young boys circumcised and 167 patients from different age groups had their teeth extracted. This event was made possible through the concerted effort of various groups. First and foremost, to the donors and sponsors for the financial support that enabled VFV to purchase medicines and supplies; provide meals and snacks to the medical team, and transportation . To the medical team composed of 11 physicians, 12 nurses, 6 dentists, 4 dental aides, and the local staff of Pastrana Rural Health Clinic. To the foreign and local volunteers who assisted with registration, crowd control, dispensing of medicines, washing of soiled tools and sterilizing them, replenishing the supplies at circumcision stations and removing wastes, and more. And of course, to the VFV team of 10 staff who acted as the secretariat, planning, coordinating, and executing. Overall, it was successful project. Once again, a big thanks to all parties involved. Till the next medical mission!